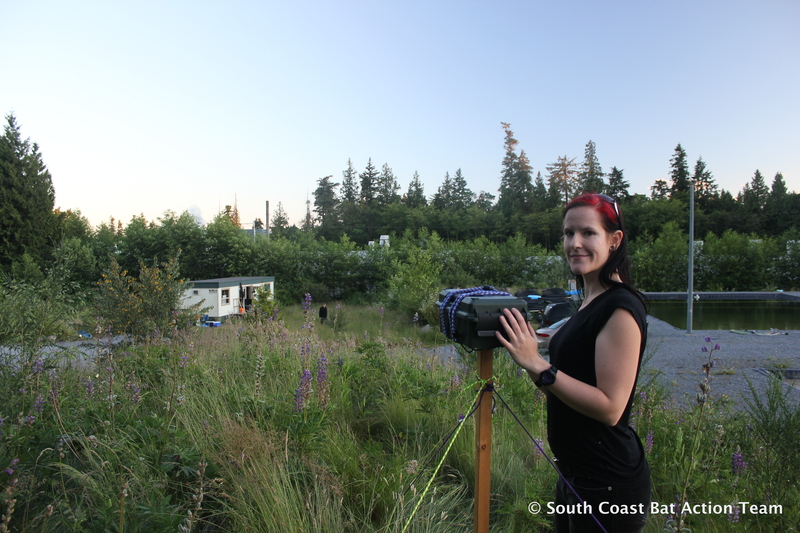 Erin Rutherford is a bat researcher and restoration planner from the South Coast of BC who has been involved in conducting species inventory and monitoring programs as well as education and community outreach for the last 9 years. Her main research interests are on bats and wetland ecosystems, specifically focusing on the ecological connections and habitat functions within ecosystems. A graduate of the BCIT Ecological Restoration and Fish Wildlife and Recreation programs, Erin has conducted research on South Coast bat species distribution and habitat features, leading mist-netting surveys and identifying species using morphological characteristics, acoustic monitoring using ultrasonic detectors and conducting Anabat bat call analysis. Erin has developed bat ecology education programs for the University of the Fraser Valley, BC Institute of Technology and the BC Wildlife Federation and is an experienced project manager, conducting community outreach, media advocacy, and leading White-nose Syndrome prevention field management in the conservation community.